Observe customer benefits achieved from the realtime monitoring of polymerizations! The exciting Optimizing Polymer Manufacturing webinar reviews customer benefits derived from the realtime monitoring of polymerizations with ACOMP, a smart manufacturing system that continuously analyzes polymers during production. Discussed benefits include reduced cycle times, improved product quality, enhanced yield, and dynamic measurements of critical polymer properties. 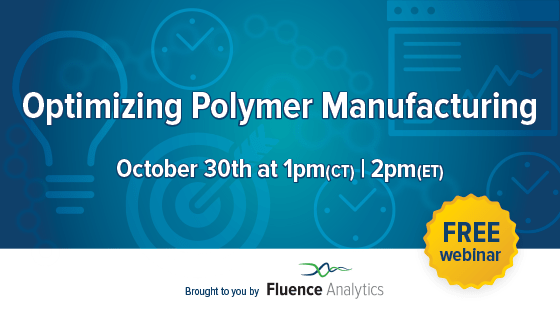 Alex Reed, CEO of Fluence Analytics, presents case studies where ACOMP was used to optimize polymer manufacturing and improve process control during this informative webinar. Alex Reed is co-founder and CEO of Fluence Analytics. Prior to founding Fluence Analytics, he was the Associate Director for Operations and Strategy at Tulane-PolyRMC. 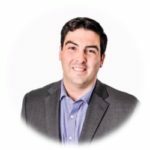 As the CEO of Fluence Analytics, Alex works with customers, team members and other stakeholders to develop and execute the strategic vision of the company. Alex serves on the boards for the Smart Manufacturing Leadership Coalition and the Applied Polymer Technology Extension Consortium. In 2016 Forbes recognized Alex as a 30 under 30 recipient, and he has received several local awards for entrepreneurship and innovation.